Do you have to hire a car in Iceland? 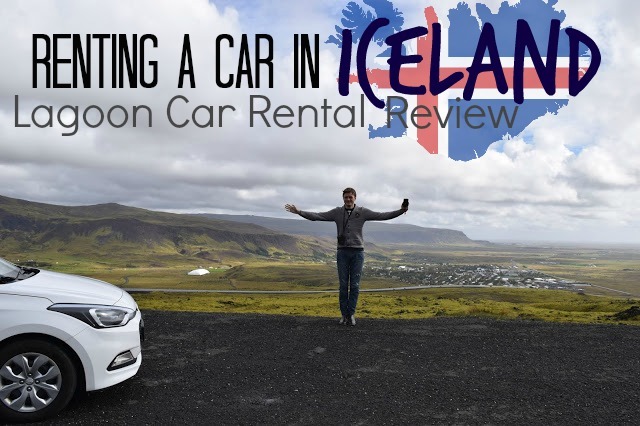 First things first, why is it essential to hire a car in Iceland? Reykjavik is perfectly 'do-able' by foot, but the real beauty of Iceland lies outside the capital on the open road. With absolutely no trains, limited buses and overcrowded coach trips, hiring a car is virtually a necessity. But it's not just about the practicalities, you'll miss out on a lot of Iceland if you don't have the flexibility to stop whenever you choose. Iceland really is like no other country on earth (as far as we can tell) and there are surprises and breath-taking scenes around every corner. But it wasn't just those 'wow-that-looks-amazing-let's-stop' type places that were full of wonder: a couple of times we'd pulled over just for a rest when Iceland magically surprised us, for example when we stumbled over a cave formed by lava!!! There were lots of reasons we picked Lagoon Car Rental to hire a car in Iceland, including the fact that we loved their clear website, that they were a family-owned business, that they were super-professional when we spoke to them via email and that they have a large range of cars from automatic to manual, tiny to monster. 1. Lagoon Car Rental Iceland will pick up for free from Keflavik Airport or Reykjavik Airport and take you to their nearby offices. This is really important because not all Icelandic car rental companies will do this, lots are based in Reykjavik and as your flight will most likely land at Keflavik, you will get stung with a 2.500 ISK (= £16/ $21) bus trip - that's just a one-way ticket! Again, not true of all Icelandic car rental companies, so if your flight home is very early you might have to give your car back the night before, which for us would have meant cutting our trip short. We were impressed with Lagoon Car Rental Iceland before we'd even used the car, but how did the actual experience go? We were met at Keflavik Airport at the arrivals by the awesome Darri and driven the short distance to Lagoon Car Rental's offices in nearby Reykjanesbaer (not to be confused with Reykjavik which isn't nearby). At the offices, we continued to be served by Darri as he guided us through the paperwork. Having never hired a car before (and having heard so many horror stories about car hire companies) this was the part I was most worried about. However, it was very straightforward, professional and concise without feeling rushed. Darri showed us our car (a small, white, manual, Hyundai i20) and we checked the exterior for scratches and bumps. Back inside, he marked down a couple of extra scratches and talked us through extra insurances. He was really nice about this and didn't push us to get any unnecessary ones. In the end, we decided to buy grit insurance - to cover us if it scratched the car and/or broke the windscreen, as grit damage is very common in Iceland, and that's how the scratches on the Hyundai had happened. The insurance was £18.60 for two days. This all took about ten minutes and would have been the end, but Darri very patiently talked me through all my silly questions (how do you turn the lights on, how do you turn the windscreen wipers on etc). It's the law to always have your car lights on in Iceland! - yes even in the daytime! Lagoon Car Rental Iceland offers a great range of cars from small to extra-large, from automatic to manual, from diesel to petrol. I was really pleased that they had the type of car I'm used to (small, manual, petrol). It was really easy to handle and park, because of its size, but not so tiny that we couldn't fit anything in it. Actually, it comfortably fitted us (Tanbay, my sister and me) all of our luggage: two carry-on suitcases, two large handbags, five cameras, six bottles of water (the water from the tap tasted weird) and our groceries. It also (unfortunately) worked with my sister's iPhone too, which meant I nearly fell asleep at the wheel (Lana Del Ray is the worst)! So off we drove (with the lights on) and instantly fell in love with the car, it was clean, modern and very easy to drive - I swear I didn't stall once - and if you've ever driven a manual car you'll know this is a miracle.. or rather, if you've ever been driven in a manual car by me you'll know this is a miracle. The second day we drove into Reykjavik, had a walk around and some lunch, and then drove anti-clockwise on the Golden Circle route (click for full review) to visit Gullfoss Waterfall, Strokkur Geysir and Fontana Spa. We then stayed at Minniborgir Cottages before driving back to Lagoon Car Rental Iceland at 3am to make sure we caught our flight home!! Over the two days, I drove 200 miles (!) and we used half a tank of petrol. We filled up at an Orkan petrol station (aka the one closest to Lagoon Car Rental Iceland), and it cost 4.507 ISK (£30/ $39). This translates to 191.30 ISK (£1.27/ $1.66) per litre. They drive on the RIGHT in Iceland i.e. the driver's seat is on the LEFT i.e. normal for Americans and Europeans, weird for British and Australians. The speed limits are in km/hour - in populated areas, the speed will be between 30-50km/ hour. In rural areas, it's 80km/hour on gravel roads and 90km/hour on paved roads. For most of the Golden Circle route, it's 90km/hour. All the road signs are in the same alphabet as ours, i.e. if you can read this you can read the road signs that point you to a place name that you're going to. Actually, lots of the road signs were in English (e.g. Minniborgir Cottages). 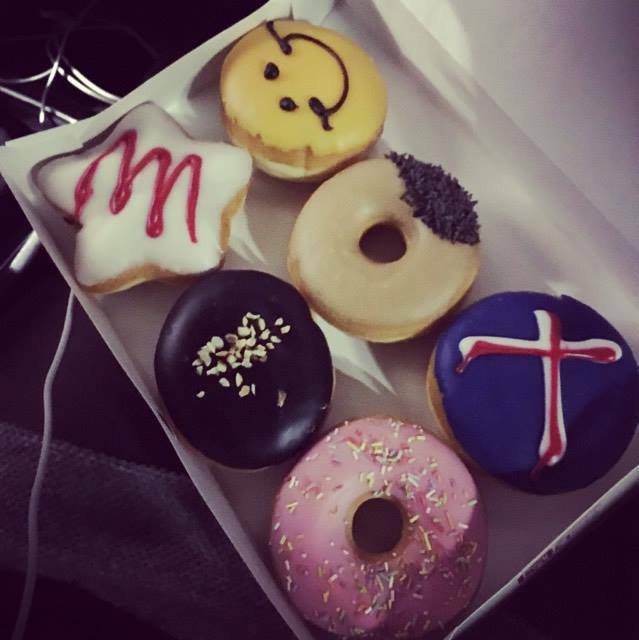 If you're lucky the petrol station will have an Icelandic decorated doughnut! Another reason we liked Lagoon Car Rental Iceland is because they have a full-to-full policy i.e. they give you the car with a full tank of petrol/diesel and you return it full. Make sure you know if your car is a petrol or diesel car, and fill it up with the correct one! Our Lagoon Car Rental Iceland keys actually had a little sticker telling us what ours was, which was a great idea. We went to an Orkan petrol station which was open 24 hours but needed a credit or debit card to be put in before you fill up, so make sure you take a card or two with you. We dropped our car off at 4am, which was an hour earlier than we'd said we'd be there, but they were really nice, checked the car for us and then drove us back to the airport. Like I said, they are open 24 hours which I think is a real advantage - some car rental companies in Iceland let you drop the car and keys off without speaking to anyone, but how would you be able to settle any disputes? 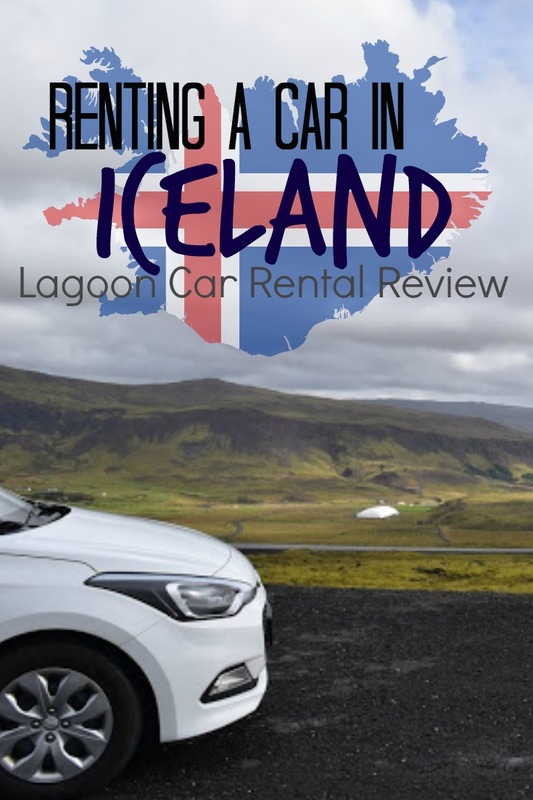 All in all, we are so pleased we had a car in Iceland and so so pleased it was from Lagoon Car Rental Iceland, they are really professional, really nice and really made the whole experience a breeze. Please note that you will need to have a credit card to pay for your car. To find out more check out Lagoon Car Rental's website: lagooncarrental.is and follow them on Facebook and Instagram. Started your dream Iceland trip Pinterest board yet? This one is for you! And to get in touch, follow us on Facebook and Instagram too! Disclaimer: Travelling Weasels were provided with a Lagoon Car Rental Iceland Hyundai i20 in return for an honest review, all opinions are our own and we would never ever recommend anything we haven't personally tried and loved because that's not cool.